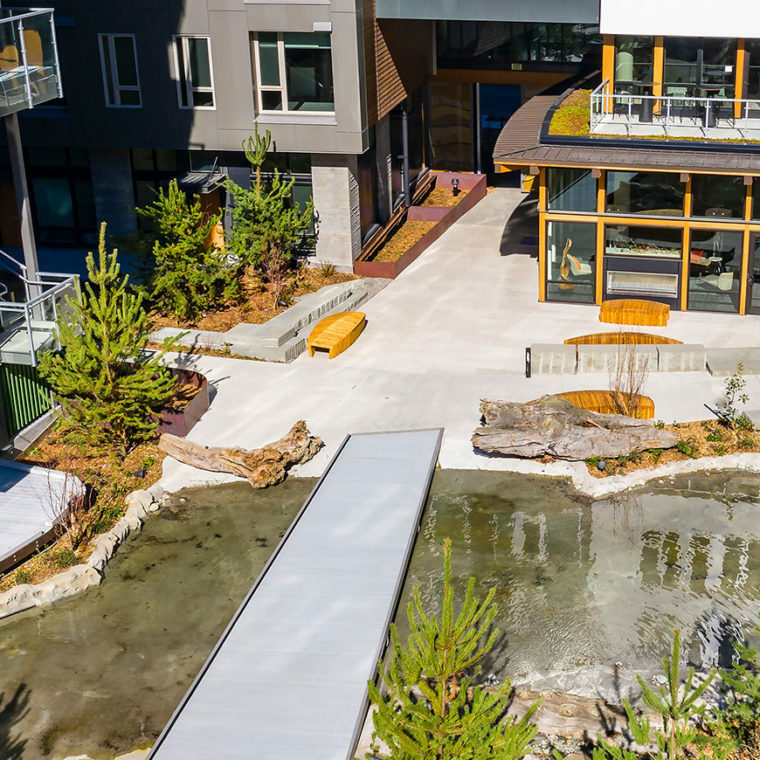 Inspired by the splendor of exploring the San Juan Islands, this publicly accessible, forested courtyard is filled with evergreens, salvaged timbers, a rustic tree house and a foggy tidal pool. 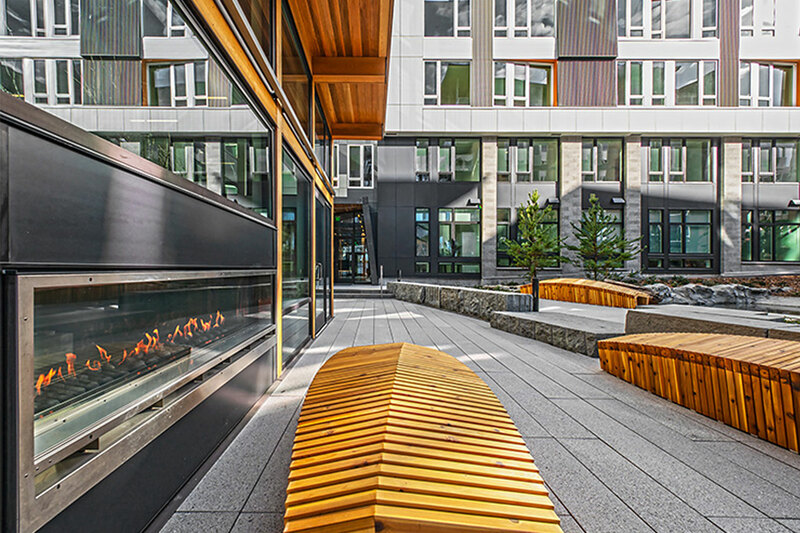 Outdoor fireplaces add to the feeling of relaxation and exploration to create unique gathering spaces for tenants. 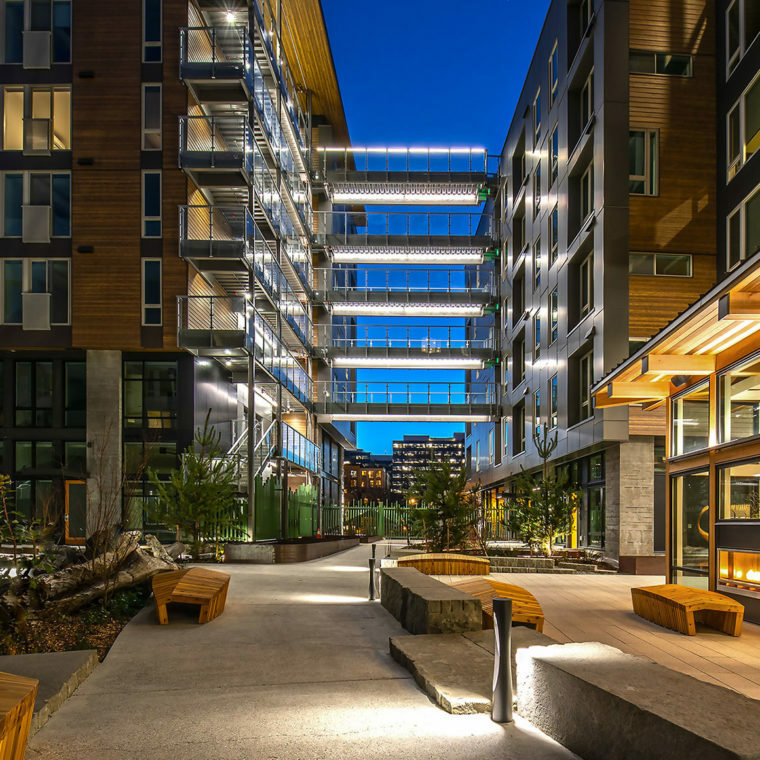 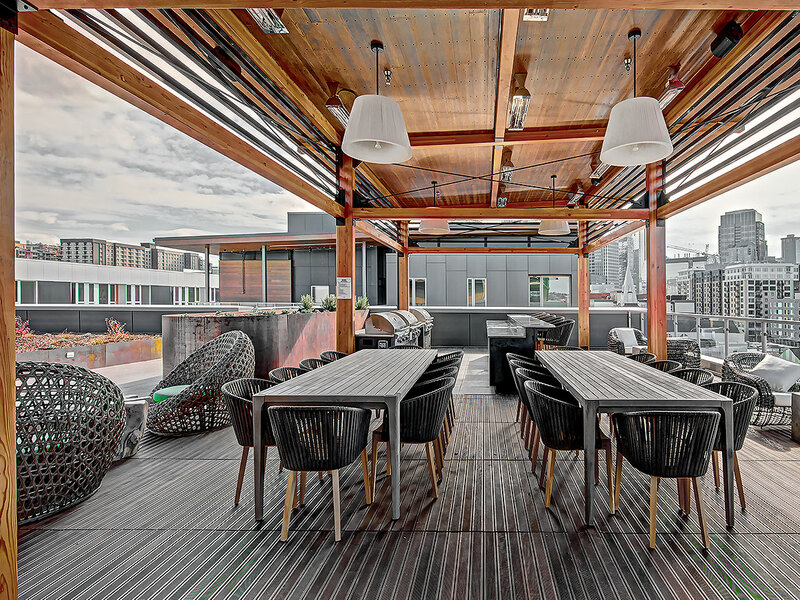 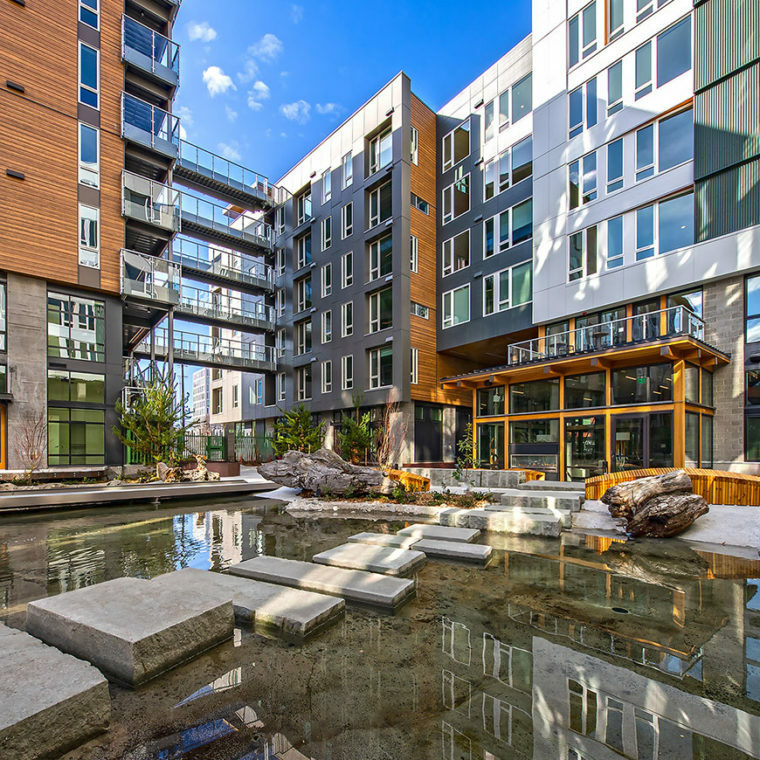 In keeping with the natural spender of its setting, the project maintains high environmental goals, including LEED Platinum and Salmon safe design specifications. 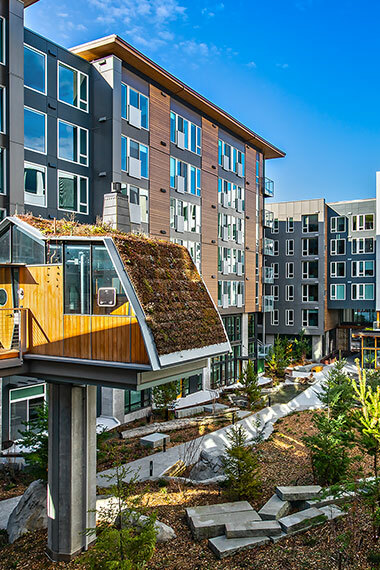 Stormwater from the roof is stored in bioretention planters on site. 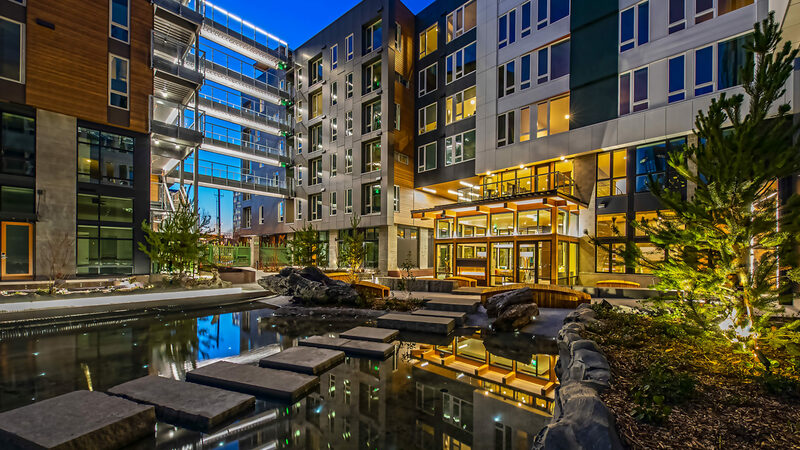 Seattle Public Utilities’ second half of the Swale on Yale, first implemented with the Stack House Apartments, in combination with the other swale projects, treats stormwater from 435 acres of Capitol Hill before it reaches Lake Union.